The focus is on mentoring community fire safety champions and fire department personnel to work on their community’s fire safety issues/priorities. The champion receives information about installation, maintenance and use of fire safety equipment such as smoke/carbon monoxide alarms and fire extinguishers. FNESS remains committed to working with the champions. In addition, the champions develop maintenance and inspection plans such as those related to chimneys and critical services building. The main objective of the Youth Engagement initiative is to empower First Nations youth to actively participate in developing and sustaining the safety of their communities through fire prevention and public awareness activities. Three communities will host an exciting two-day workshop and FNESS will deliver a workshop at the BC Association of Aboriginal Friendship Centers Annual Gathering Our Voices Youth Convention. Through engaging and interactive activities, these workshops encourage youth to learn about fire prevention and the qualifications and training needed to volunteer and work in the fire service industry. Children and elderly people are most vulnerable to fire; our goal is to educate school aged children about fire dangers and the importance of fire prevention. Awareness may result in reduced occurrences of preventable fires and improved chances of children escaping structural fires. Champions are developed to remain engaged with their local school to continue to promote fire and life safety messages and to receive continuous support from FNESS. 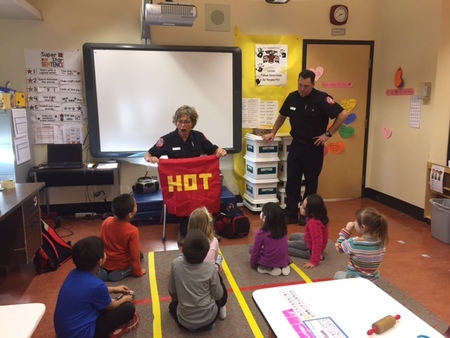 The poster contest’s interactive, visual and fun activity allows young children to grasp and understand the concepts of fire safety. FNESS works with Aboriginal Firefighters of Canada and Fire Prevention Officers of BC on the poster initiative. With an increase in threat of wildland/urban interface fire, FireSmart initiatives are increasingly important for communities to undertake to safeguard themselves. FNESS assists First Nation communities to achieve FireSmart Community Recognition certification.